Why is shopping in Zara Spain so much more exciting and fun than in Zara France and Zara Malaysia? Note: Taking the issue of actually getting to either Spain, France or Malaysia out of the equation, of course. 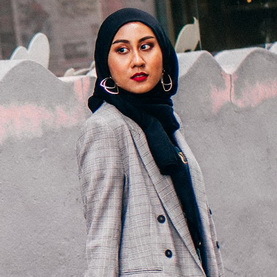 I am also completely aware of the fact that as someone who lives in Malaysia, it would be a lot cheaper to shop in Zara Malaysia than pay for any flight ticket to shop in Zara stores in other countries. So what can I show you to prove that Zara items in Spain are indeed cheaper than in France or Malaysia? OK, let's take one product as an example. Pay attention to the price written underneath the the name of the product and its reference number, please. So what can we learn from this comparison? The top is RM 199.90 in Malaysia. 1 EUR is about RM 4 (be reminded that all conversions in this post are approximate). So the same top in France costs RM 160. But go to Spain, and you only need to pay RM 120 for it. So you're still not convinced? You're like, "That's ONE product. So what?". OK, let's do another top. A knitwear now, shall we? RM 99.90 in Malaysia, RM 80 in France and RM 64 in Spain; this knitwear is 36% more expensive in Malaysia. I like Zara but their retail prices in Malaysia scare me off more often than not. So it was exciting for me to go a little crazier at Zara stores in Barcelona and Madrid. I didn't forget my sisters, of course not; Shah and I received "orders" from Fiza and Rina who were back in Malaysia, complete with photos of the items they want, their reference numbers (both taken from Zara's official website) and their respective size to assist us in acquiring their clothes. I don't think it's just Zara that's cheaper in Spain; it's the same with all the other well-known Spanish brands like Bershka and Pull & Bear, since these three brands are under one retailer company (or something like that). A Bershka denim jacket in Malaysia costs RM 199.90. In France, it's RM 144. 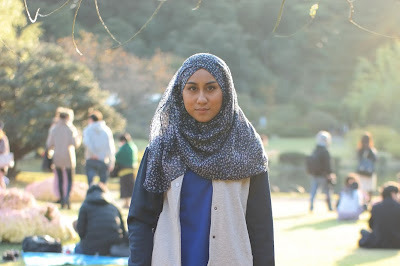 The same denim jacket in Spain would cost you RM 120. Mango/MNG is also a Spanish brand but I didn't have time to visit it. I did discover Stradivarius, though, which i love! It's under the same company as Zara, Bershka and Pull &Bear (and Massimo Dutti as well). The clothes I saw in Stradivarius seem more feminine and less edgy than Zara's but they're all oh-so-pretty; the prices are in the same range as Zara. Another brand I discovered is Lefties, which is really just Zara (it really is, Wiki says so) that is cheaper, but nothing in Lefties really caught my attention. If you love these Spanish brands and just happen to be visiting Spain, I would suggest you stock up! A good tip before you go: have a look at the websites beforehand and decide what you really must get your hands on because that could save a LOT of time. Knowing your exact size would pay off too. While I was going around deciding what to get (aside from the four I've noted from the website), Shah got their staff to help us get Fiza and Rina's "orders" by showing them photos and reference numbers and giving them the exact sizes. This proved to be a major time-saver. Some of the things were not available in store so once in a while, the staffs, which are quick and willing to assist, would take out their walkie talkie, barked some Spanish words into it and 5 minutes later the product we asked for arrived out of nowhere and into our hands. Amazing! 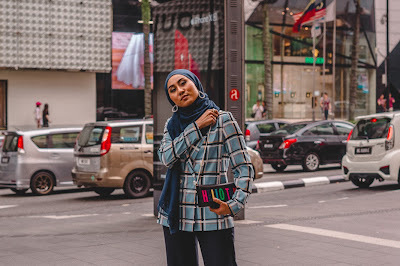 Zara in Malaysia gets crazy during sales but Zara stores in Paris, Barcelona and Madrid are pretty much packed at all times—it is that immensely popular. You can bet on long queues before finally being able to pay for your items. I went into a Zara branch around 9:30pm in Madrid and there were a lot less people than during the day but shopping in half an hour isn't that much fun. If you can avoid shopping during the weekend, try doing that. Most major stores were closed when we were in Barcelona on one Sunday, so that might be something you want to check out before you dedicate an entire weekend to shopping. The stores close earlier too in Barcelona, around 8pm, like in Paris (and that's on weekends). In Madrid however, shopping lasts until 10pm—just like Malaysia, my home sweet home! Did you know that Zara is now like the world's LARGEST fashion retailer? - They have a policy of zero advertising; they instead invest revenues in opening new stores. Which makes sense, because I don't remember seeing Zara ads ever, whereas ads for Mango and H&M can be found everywhere. 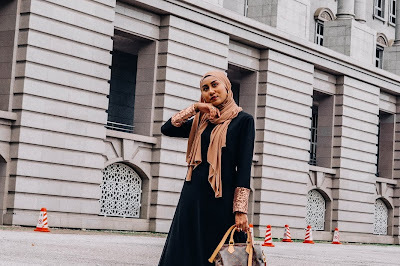 - There are claims that Zara can get out a new product in just two weeks, compared to average 6-month period of other brands in the industry. - The original name, and the name of the first store ever, is 'Zorba', but there was a bar with the same name nearby. So they rearranged and adjusted the name to 'Zara'. - 50% of the products Zara offers were are manufactured in Spain itself. 26% of them are made in the rest of Europe, 24% in Asian and African countries and the rest of the world. This is unlike their competitors, which usually get Asian countries to manufacture all of their products. The more fashionable items are made in Spain and Portugal; the labour in northern Portugal is "somewhat" cheaper. Basic t-shirts plus other clothes with "a longer shelf life" are outsourced to low cost suppliers in Asia and Turkey. - Annually, Zara produces 11000 "distinct" items, wheras its competitors come up with a meagre 2000 to 4000 items only. - This I find impressive and resourceful, so i'm just going to copy paste it: The company can design a new product and have finished goods in its stores in four to five weeks; it can modify existing items in as little as two weeks. Shortening the product life cycle means greater success in meeting consumer preferences. If a design doesn't sell well within a week, it is withdrawn from shops, further orders are cancelled and a new design is pursued. If you're heading to Spain, have fun! Don't forget to leave loads of empty space in your luggage! Better yet, go crazy and not bring any clothes and just buy ALL your clothes there! hi dear. 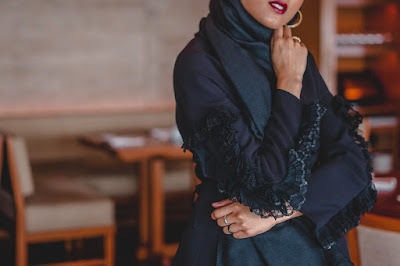 i want to follow your blog but i couldnt find google friends connect or bloglovin. I'm always a little overwhelmed (and extremely flattered, i have to admit) when people admit to having interest or liking my blog, so thank you very much! The thing is, i'm slow with this whole Google friends connect and Google+ things so i haven't quite gotten myself to master them. In fact, i'm still learning new things about some basic blogging stuffs too! I'm really interested in bloglovin' though, as i've read it's user-friendly. I will try to add that to my blog and will update you as soon as i get it done. And please DO follow me when that happens, as that would just make my day! I can see from your blog you're a dedicated beauty lover as well. Yay! Oh yes! I forgot about the return thingy. Only because we didn't get to experience that ourselves. Sadly.